I've been asked how much should you pay for a good monopod. Here is a quick answer and a few more detailed answers to consider. 1. Get as much as you can afford. 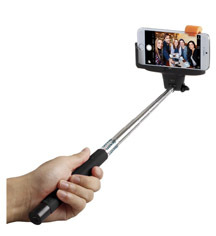 Ideally, a monopod is a purchase that should only have to make. Unless you lose it or it gets stolen, you should get one that will last your entire photography lifetime. Easy peasy lemon squeezy. You can easily do this for less than $100. 2. Get a cheap one. This is the answer I give to photographers who are only occasionally using this accessory for shooting video with a point and shoot camera. Treat it with respect. Don't over load it and don't over tighten and you'll be fine. 3. Shooting a selfie portrait? The answer is quite different. These selfie monopods, also known as selfie poles, camera extender arms or cameras on a stick, have a completely different use and corresponding price tag. The simple answer ion this situation is to go with one that is affordable and highly rated. The most expensive selfie monopods cost around $30, most sell for less than $20 and some around $10, whereas the most expensive camera monopods sell for around $300. Because of the many diverse and creative uses for a monopod, and because of the contrasting types of photography and video you Digital Photography Tips readers engage in, here is my longer worded advice for finding the right monopod or selfie pole for the right price. Be very specific on how you are going to use it right away as well as possibly in additional ways in the future. The number one consideration is the camera or smart phone that you attach to your monopod. Will you ever use it for anything other than your smart phone? 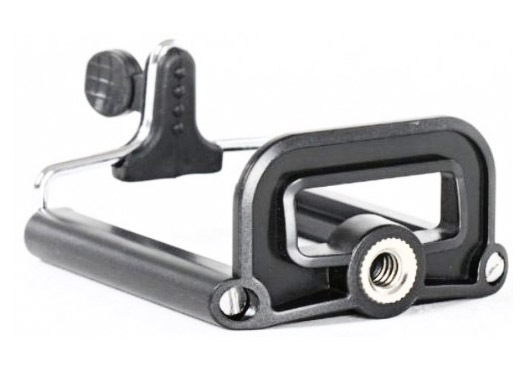 You can easily get a bracket/adapter to attached to a regular camera monopod. 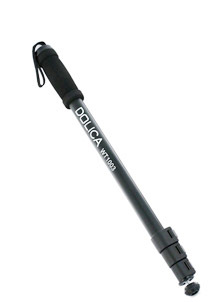 This would give you the ability to use one monopod for shooting selfies, smoother video, and sports. Here is an article on several creative ways to use a monopod. Monopod Accessories. Once you've determined the typ of equipment that will be attached to your trusty monopod, figure if you will every want any monopod accessories. Fluid Heads and Monopod Feet take your video shooting to a whole new level. Gather some opinions from others. Whether you ask me directly, using the Ask Me a Question page or use the reviews of other customers who have purchased and written about specific monopod models, it is useful to get advice from other photographers who have experience with cameras and their accessories. I'm really biased to rely heavily on reading reviews on Amazon about digital photography equipment as well as a myriad of other products. I don't buy EVERYTHING there , but I ALWAYS go there to read the reviews. Amazon does so much volume with a lot of products that they have the most reviews on those products. Lighter and smaller to carry than a tripod. Faster to set up and break down. More practical to use when you're standing in a crowd or in tight quarters. Cheaper than buying a tripod. I hope you enjoyed this article called "How much should you pay for a good monopod." Whatever you do with your monopod choice, have a blast with your photography! Shoot more photos. Shoot better photos.